Feature packed websites & technology loaded with tools you need to succeed in today's real estate industry. Give your website your own custom brand designed by our talented design team and your unique style. 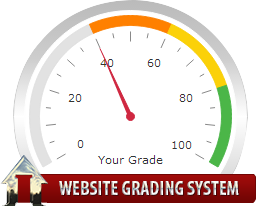 The Website Grading System comes free for every website you have with Intagent and it’s a great tool in moving your business forward. Here's a great way to find out if your website already got what it takes. Intagent's Website Grading System! This unique tool will help you determine if your site is up-to-date and will give you action steps to perfect your website! This tool not only grades the distinctive elements of your website compared to other sites; it also provides good recommendations for improvement. This is great for people new to website creation and advanced users alike! $29.95 /month no start up cost! We're here for you, let's talk!